DRIVERS – Pierre GASLY (Toro Rosso,) Romain GROSJEAN (Haas), Esteban OCON (Force India), Fernando ALONSO (McLaren). Q: We’re going to start with the French drivers. It’s the first French Grand Prix for 10 years and there is a real buzz in the paddock about being here in the south of France. So how special is it for you as drivers to be here at your home race? Romain? Romain GROSJEAN: It’s very special. I came into Formula 1 in 2009, the year after the French Grand Prix finished. Then in all the years I was doing [Formula 1] I didn’t hear much about the French Grand Prix and eventually all the rumours started to kick up and then last year we knew we were going to have a French Grand Prix and here we are and it’s amazing to rediscover Paul Ricard with the grandstand and all those statues, which I think make it… It feels like a great atmosphere. The south of France is probably one of the best places in the world as well. The weather is very kind to us and I think it’s just a beautiful place to have a race and very, very much looking forward to going out on track. Q: Thank you very much. Esteban, your thoughts coming here, because you’ve raced here before but obviously not in Formula 1? Esteban OCON: Yeah, I have raced here before. Last time I was seated here there was a lot less people. I won in Formula Renault 2.0, back in the day, it was my first victory in single seaters. Just fantastic memories, to come back here feels special. Of course we see the atmosphere there is already on the first day, which is awesome, lots of fans coming around and I can’t wait to be racing for the first time in front of my home crowd. Q: Thank you. And Pierre, your thoughts on your home race and how impressed are you with this venue? Pierre GASLY: Yeah, honestly super impressed. The last time I came here was in 2014 and there are now so many grandstands, much more people than I used to see here. I think we raced with Esteban in 2013 and I raced here in 2014, I won Formula 4 and also in Formula Renault, so a lot of good memories. It’s just unbelievable to come back here for my first home race. We are pretty lucky because all of the French drivers in the last 10 years didn’t have this privilege. It’s my first season and I get the chance to race my country, so an amazing opportunity. A lot of people already for Thursday, so really looking forward to seeing how it is over the next few days. Q: Romain, if we return to you to look at the competitive aspect of the weekend. You’ve got two young French talents alongside you today, but the Haas looked more to your liking with the upgrade in Canada. So what are your chances of beating these two guys this weekend? RG: I think they’re pretty high. The car has been working very well recently – since the beginning of the year to be fair. We’ve had an upgrade in Canada and I had a good feeling in the car. Unfortunately we didn’t do quali and then we made our race harder. But I think we are going in a good step. So for the four of us, P7 is like winning the race for us. That’s clearly our target for the weekend and then if anything happens in front then we take the opportunity. Q: Thank you very much. Esteban you have scored points in each of the last two races? But you had more points at this stage last year and the team has been in the headlines both off the track and on it this year. So what has it been like internally? EO: Internally, it’s all fine. We are working quite well to be honest. The first few races were difficult but we have been improving the car, bringing updates to it, and race by race improving and in Monaco I think we really did the step up. We’ve qualified P6 and in Canada we qualified into the top 10 in Q3 and I think we have the car now to be qualifying well and to be fighting the top midfield teams. So far we are pretty happy with the development and how everything went. Especially this weekend, we have a fresh engine in the car, so hopefully it’s going to give us some performance. Q: Speaking of fresh engines, Pierre you took a power unit penalty in Canada to ensure you didn’t take one here , but you climbed through the field impressively in Canada so how big a step is the new Honda and what are you hoping from it this weekend? PG: Yeah, it’s a really good step. I think in terms of performance it’s clearly a good help. We saw in Canada that we were able to overtake other cars – Force India, Haas. So, I think it’s looking pretty good. I think it’s super tight in the midfield, so at the moment we still need to progress but I think we are improving in terms of consistency and we know if we put everything together we can fight in the top 10, but if we don’t it’s a bit more difficult. It’s a good opportunity here, because all the teams have only realty small experience of this track, so it’s our job to really work during free practices to make the best out of it and I think clearly with the upgraded engine we have a better chance to score points. Q: Thank you. Fernando, thank you for waiting. 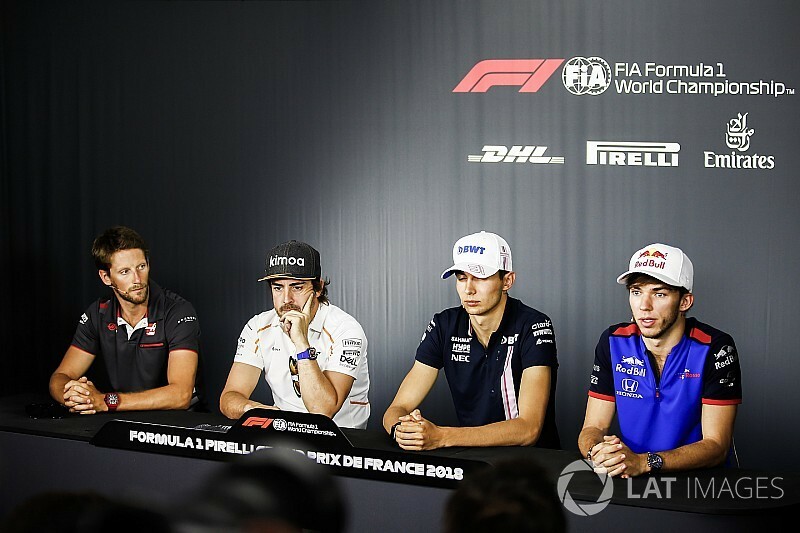 This is a Formula 1 press conference but it’s also an FIA press conference and last weekend you won one of the biggest races in another FIA championship, so just tell us about your Le Mans experience and what it feels like to be a Le Mans 24-Hour winner? Fernando ALONSO: It feels great. Obviously it has been a long-time dream for me to be there and to experience Le Mans and it was great to have the first opportunity and to be in as competitive a team as Toyota and to dominate the free practice, the qualifying and the race. It was a competition between the two of our cars in the garage and in the end we got a little bit more lucky and a little bit probably set-up. It feels great but now back to F1 – a triple race in three weekends – and quite busy between Monaco, Canada, Le Mans and now these three. Q: As Romain alluded to; seventh place seems to be the highest realistic target for most of the teams here today. Just tell us, from a competitor’s point of view, how do you make that switch from winning such a big race last weekend to having different targets this weekend? FA: Well, I think you know how Formula 1 works and what are your targets and your maximum positions and you approach the weekend just trying to reach those targets and try to improve the car every single race and try to develop the car as much as your competitors. 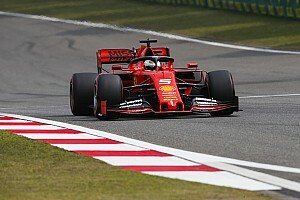 As all of our friends here, we are optimistic with the upgrades on the cars, the engine upgrades and things like that, and then you find out that every team is developing the car at the same rate more or less and everything remains the same. We did score points in every single race, more or less, this year. We miss in Monaco with a gearbox issue and in Canada with an engine issue but we were in the points also in those races and we want to come back to that place here. Q: (Scott Mitchell – Autosport) Fernando, you’ve got two down and one to go in your pursuit for motorsport’s triple crown. So in terms of winning the Indianapolis 500, how big a priority is that for you now? Do you want to tackle it as soon as possible – i.e. next season? And can you do that while still racing in Formula 1? FA: I didn’t think too much yet on this. 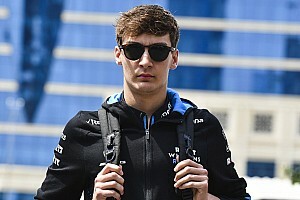 As I said last year when I entered the Indy 500, that was a very attractive target, to achieve the triple crown and to be a little bit, let’s say, a more complete driver, not only driving Formula 1 cars. Yeah, obviously the Le Mans victory it puts a little bit closer that target, but I will think and I will see what I do next year. Q: (Julien Billotte – AutoHebdo) Question for Pierre. Pierre, did you push for the Honda move with Red Bull and do you think it improves, it boosts your chances to move to the senior team if Daniel Ricciardo does leave the team? PG: I didn’t push for it because I’m not the one who takes the decision – but of course they asked me for feedback since the beginning of the year about the engine. I’ve tried to give them as precise as possible to help them in their decisions but I think, yes, there were much bigger talks behind it. And then, yeah, about Daniel’s situation, I think it’s still pretty early in the season to talk about it, of course. Everyone is making speculation but at the moment there is nothing really serious. Of course, clearly, you know, in Formula One, you want to be fighting for the top positions and that’s what I want to be fighting for in my career and clearly my target as a Red Bull driver is to be the Red Bull seat as quickly as possible – but at the moment I’m only in my first season in Formula One, so I just try to focus on my job. I know that, if I do good races, opportunities will come up – and that’s the only thing I try to focus on at the moment. So, we will see what Daniel does, and… yeah… bit too early, I just try to focus on my performances and on myself to give my best. Q: (Livio Oricchio – Globoesporte.com) To Fernando. Fernando, you experiment to compete in a different situation to Formula One at Le Mans. Here you have at least three teams in front of you and there you have just one team. Can you describe more the sensation of being a driver of a team that, unless you have some problems, you probably win the race? FA: Well, I think in Le Mans it was different because the race is so hard and so demanding that whatever package you have, you need to still fight throughout the race and you need to still deliver the perfect execution of the race. In terms of driving, in terms of mechanical failures, in terms of pitstops, the whole team has to work together and execute the race. We see in other categories, in LMP2 or GT, even the favourite ones, at the end of the race it’s not so clear. It’s not predictable. The team of our boss Zak Brown was third at the end of the race and in qualifying it was 14th. So, that’s how hard Le Mans is, and how unpredictable it is. In Formula One we are definitely missing that. We are all sitting here and we know that maybe we could fight for seventh in qualifying and for seventh in the race. That’s the biggest problem of Formula One. Q: (Joe van Burik – Autocar NL) Fernando, two questions to you: first, can you describe the feeling as you were making up time on the sister Toyota during your night stint at Le Mans? And secondly, do you feel the win would have much more value if other major manufacturers would still have competed in LMP1? FA: At night, obviously you are so focused and concentrating on traffic and all the other stuff that you are not totally aware of the gap between the two cars so if you are faster or slower… you are just trying to put some laps together and some clean stints without any mistakes. When I finished my fourth stint and I asked what the gap was, obviously we had reduced it by one minute and a half or one minute 45s and that was great but during the stint, to be honest, I was not aware of the pace or anything. And how it feels? It feels great. Last year there were only four cars, this year there were ten so I think there was much more opposition this year. We had the only hybrid system with, I think, 49 percent more efficient than any other car and it was a great challenge. I put this victory in a higher level than any other victory in Le Mans. Q: (Inaudible) Sorry about that. Did you watch them coming up the ranks and when was the first time that, watching them racing, you thought about them: wow, that kid is really impressive and could make it to the top? RG: To be fair, I didn’t watch much. I met Esteban once at the Monaco Gold Kart Cup ages ago and then I knew he was doing Formula Renault but I didn’t get much time to watch closely. I know Pierre went through the French Federation Academy but it’s very hard to know if a driver’s going to make it or not until they are competing in Formula Two, which I guess is one of the best preparations, so that’s where you can see whether they’re going to make it or not and that’s quite easy to follow because it’s the same race weekends as we do. Q: (Jerome Bourret – L’Equipe) From past experiences you’ve had here in other categories, and from the job you have done in the simulator, what is your opinion of the layout of the track and what can we expect from the race, boring or an exciting one? EO: You know, there have been some changes compared to the past so first of all, the track has been resurfaced, compared to the previous year so we will see how it performs with those tyres in practice. Second thing is the shape of the corners have been redesigned in turns one and two and five and 15, to help overtaking and also, I think, it can only help, you know. It’s a wider entry to the corner, it’s a slower entry to turn one but quicker exit. All those things can only help overtaking. We will see if it helps in practice; already we will have a better idea but as a venue, I think Paul Ricard can only be the best venue in France at the moment to host the French Grand Prix. PG: Yeah, similar comments really. We raced it before it has been resurfaced so we need to wait a bit in practice. There is a question mark about the chicane, if it’s good or if they should have left the straight. I think in the end we don’t have much experience from it so we need to see how it goes this year. But there are a couple of overtaking spots. The only problem is still the same: it’s really close to follow other cars so I think it’s a bit difficult to predict but if degradation is pretty high, for sure we know it’s pretty hard on the tyres, we need to see how it behaves with the Pirellis and it will make it quite exciting. I don’t want to be pessimistic, I’m usually really optimistic about things so I think we should wait and see on Sunday but hopefully it’s going to be an exciting one. Q: Fernando, am I right in saying you tested here before but not raced? Q: Have you had time in a simulator to get an understanding of it? FA: I didn’t drive the simulator either so let’s see tomorrow. I think I’ve been here in 2003 at the launch of the R23, the Renault one but we were using a short kart circuit, just for some pictures and some shakedown but I honestly don’t remember anything and let’s see, the good thing is that the French Grand Prix is coming back to the calendar and probably all the excitement is there, you know, with the fans and the expectations and the race itself. I think that’s the very positive news of the weekend. If the show will be good or not, we will wait and see on Sunday. Sometimes it’s better than expected, sometimes it’s a little a bit more boring than expected but I think I’m also optimistic because it’s an historic race coming to the calendar and we are all happy. RG: I’m pretty much the same. I think we always like to think ahead of things and not let time tell us what’s going on. First race of the season was very boring but the next few were amazing and there was a big crisis after Australia and actually the races afterwards were quite fun so here we will see. On paper, it’s clearly not the easiest track in the world on which to overtake but there are long DRS sections. If the tyre energy is high, so the tyres could go off and if that’s the case overtaking is going to become an option. I think recently the one stop races have been a bit boring for everyone, so hopefully we will get a bit more stops and then the race is always going to be a bit more exciting. Q: (Rodrigo Franca – VIP Magazine) Fernando, you won in Monaco, you won in Le Mans and you also raced at the Indy 500. From a driver’s point of view, which one is the most difficult to win and if you can please compare some of the challenges between these three very different races? FA: I think they are difficult to compare. They are all special events and they are all difficult to win, in a way. Probably the easiest will be Monaco because if you are in the best package possible that season and you put in a lap on Saturday, 99 percent of the win is there so that’s probably out of your hands. You probably have to have the best car that weekend. On the other hand, I think the show is bigger because they do it once a year so I think the driver presentation, the build-up to the weekend, the race itself, everything is bigger because, as I said, they do it once a year. The drivers parade is in town, Indianapolis, Le Mans, there are a lot of preparations into the race so you feel a different atmosphere but from a drivers’ point of view, as I said, they all feel very special, very unique and each one requires different styles. 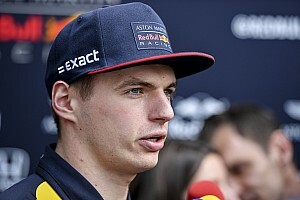 Q: (Louis Dekker – NOS) Fernando, are you surprised Red Bull can think of a World title using Honda engines? FA: Me? If I’m surprised? No. To be honest, what the other teams do, I think it’s difficult to analyse from the outside. We don’t have all the data, all the things they have so I’m happy for them if they take this decision, and happy for Honda to show their commitment to F1 and for the future and at the same time, it’s not a surprise. There were some talks, some rumours for a couple of months already about this relationship and now it’s official. Q: (Phil Duncan – PA) Fernando, would you seriously consider racing in IndyCar for a full season next year, and would you consider taking a sabbatical perhaps until McLaren show any signs of improvement? FA: Well, I think one thing is we need to wait and see a couple of months now is really the commitment of all the parties into F1 projects, into the future, what will be the seats that next year they move on and which will be driver line-ups in some of the top teams as well. And after that, just see what the future brings, also what the produce on the Indy 500, on the triple crown and whatever feels attractive. Right now, as I said, still digesting a little bit the Le Mans win and trying to enjoy every minute and not taking too much into account the next year’s project. Q: (Ludovic Ferro – La Provence) One for Fernando, one for Esteban. Fernando, is it special to drive in France after your victory in Le Mans and your two titles with Renault? 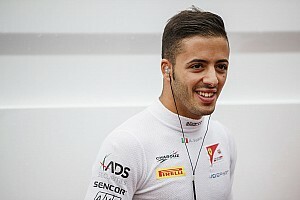 FA: I always feel happy to race in France because, as I said before, it’s an historic race in the calendar and I grew up watching the French Grand Prix on television and then I went to an F1 race in Magny Cours and as you said, racing for a French team, and now winning Le Mans in France. The last four weeks, between the Le Mans test, Montreal, Le Mans and here is four weeks French speaking people in the hotels so it’s a nice feeling now and yeah, really happy to be back here and a lot of support in France always and happy to race (here). Q: (Ludovic Ferro – La Provence) Esteban, have you the ambition to finish first French driver of this GP and if not, what is your ambition for this weekend? EO: There is no classification about top French, so it’s not very interesting to be the top French. No, what we want to do it to do the best job we can. In the end, that’s to arrive seventh if there is nothing happening in front, so that’s what we will go for this weekend. Q: (Jon McEvoy – Daily Mail) Fernando, how good do you think the Honda engines are? FA: I don’t know. What I know is that the Renault engine we have in our car is quite good. Last year, at this point, we had zero points and this year we are seventh in the drivers’ championship and fifth in the constructors’ championship and the relationship is better and healthier than ever. That’s the only thing I know, the present. The past, I don’t know. Q: (Frederic Ferret – L’Equipe) How did you cope with the 24 hour race, are you still tired, did you manage to sleep a long time and how do you feel now? FA: I’m more or less OK now, 90 percent, still recovering. Definitely it was demanding, physically. Every time you jump in the car you do two and a half Formula One Grands Prix and then you don’t have two weeks to recover, you have four hours to recover and then you go back to the car so it was demanding but it was fun at the same time and the adrenaline keeps you awake. Basically, all night, I think I slept one hour and a half, more or less, half asleep because I was controlling the times all the way through the night. Yeah, it was a nice experience and obviously I did the Daytona 24 hours in January, also to get experience and practice on how 24 hour races were in terms of physical demands and mental demands as well and yeah, everything was under control. Q: (Louis Dekker – NOS) For all of you, can you tell me something about the impact of the triple header, I could even say five Grands Prix in six weeks? Is it overkill or do you like it? RG: I think I like it. EO: Yeah, it’s good. When I was a kid I wanted to race every day so now it’s coming alive, that dream. I think on the other hand, I’m thinking about the mechanics, all the people travelling around Europe, the truckies, everybody in the teams, you know, building up those beautiful hospitalities and tents and all that. This is going to be very hard for them so we need to make life as easy for them as we can because at the end, we are a team so we need to support everybody. PG: Yeah, I think I’m going to love it. We’re race car drivers and we just want to race and I think it’s going to awesome. FA: I have nine so these last three’s OK.